Over the last couple of weeks, I have had the pleasure of reading Thomas Morris’s fascinating account of the development of heart surgery - The Matter of the Heart, A history of the heart in eleven operations. My other reading, The Financial Conduct Authority’s Asset Management Market Study Final Report, has been rather less fun. Needless to say, these two documents tell very different stories about how well their respective industries of heart surgery and asset management serve their clients. Morris’s story is an uplifting tale of an industry progressing in leaps and bounds, through ingenuity, innovation and a dogged determination to improve people’s lives. It begins in World War II with the remarkable achievements of Dwight Harken, a US military surgeon, who successfully removed bullets and shell fragments from the chests of 134 soldiers. Harken did this without losing a single patient, despite removing many of the fragments from inside soldier’s still beating hearts. Harken showed, for the first time, that the human heart was resilient enough to withstand surgical intervention. Within a few decades of Harken’s triumphs, heart surgery had progressed to the point where Dr Christiaan Barnard, working in South Africa in 1967, was able to perform the first successful human heart transplant. By 1998 surgeons were using miniature robotic ‘hands’ to perform operations from within the chambers of the heart – the operation was performed with the help of the Da Vinci robotic system, made by Intuitive Surgical, currently one of your fund’s larger investments. The overall story is one of an innovative medical profession driving their industry to new heights of achievement for the benefit of their patients. By contrast, the FCA’s report is a dour document. Theirs' is a story of an industry delivering underperforming funds with opaque fees that fail to innovate or compete for the benefit of its clients. In short, an industry which does not naturally act in its clients’ best interest and which must be coerced into doing so by an ever-tightening series of regulation. Morris reports that one of the surgeons he interviewed asked – ‘Why do you want to write a book about heart surgeons? We’re all psychopaths.’ An observation which, according to a 2015 academic study – ‘Are Surgeons psychopaths, and if so, is that such a bad thing? By J. Pegrum & O. Pearce – is supported by evidence. It comes as no surprise that similar studies have been carried out to test the character of professional traders and money managers. These also claim to identify a marked pattern of psychopathic behaviour – T. Noll et al. A Comparison of Professional Traders and Psychopaths in a Simulated Zero Sum Game or Unmasking Financial Psychopaths – Inside the minds of investors in the 21st Century by Deborah Gregory. These academic studies suggest both surgery and fund management are ruled by similar, self-serving, personality types and yet according to the FCA’s and Morris’s accounts those two industries behave very differently towards their customers. Morris’s story reads like a model of a self-regulating self-optimising system, which naturally acts in the best interests of its patients. Surgeons compete with one another to be the first to find new procedures to improve the lives of their patients. When those better procedures emerge, they are quickly adopted by the surgical community, but when experimental procedures fail they are quickly abandoned. By contrast, the absence of a competitive process within the asset management industry, for the benefit of its clients, is a pervasive theme running through the FCA report. Why then, when both industries appear to be led by similar personalities, does one naturally act in the best interests of its clients and the other does not? By contrast, in the private sector fund management industry, where status is largely measured by profit, there is a natural and obvious misalignment of interests between the fund managers and their clients. Fund managers want to maximise their fees and their clients want to maximise their investment returns. But fees are subtracted from investment returns so the fund managers and client are in conflict. In an ideal world – ideal for the clients – this misalignment of interests would be mitigated by competitive pressures within the industry. Fund managers would always want higher fees but would nevertheless be forced to compete with one another for assets to manage. For this to work, clients need to be able to judge both the fees and the quality of the investment returns delivered by the manager. Those delivering higher risk adjusted returns, after fees, should attract more assets and progressively displace lower quality managers. We would go a step further than Mr Kay. We believe the difficulty in comparing investment returns is only the tip of the iceberg. A much bigger problem is that the asset management industry does not compete on the basis of investment returns because it is not responsible for those returns. Today most funds are managed to track, or to outperform, a benchmark and for most of those funds it is the choice of benchmark that dominates the investment returns delivered to the clients. Usually the fund managers’ tracking error – their deviation from the benchmark – is, from a client’s perspective, much less important than the benchmark itself. As a result, when a client invests in a benchmarked fund, for all practical purposes, they are still managing their money themselves. The client choses the benchmark and that choice determines their returns. The client must choose when and if to switch between funds with different benchmarks and that decision is typically driven by factors outside of the fund manager’s influence. In adopting benchmarking or index tracking as an industry norm, the asset management industry has engineered itself into a position where it can charge fund management fees without taking responsibility for fund management returns. At the risk of stretching the surgical analogy one step too far – the benchmarking process is akin to a situation where the patients instruct their surgeon which procedure to perform and which instruments to use. If the investor cannot judge the quality of a fund manager and the fund manager cannot materially influence the client’s investment returns then the ability of the industry to compete on the basis of investment returns is significantly undermined. For this reason, the fund management industry has migrated to a position where it competes on asset gathering rather than investment returns. The hedge fund industry is one niche of the asset management industry which has bucked this trend. It has retained responsibility for investment returns and does compete on the basis of those returns. It has done so because its famous ‘2 & 20’ fee model – investors pay a 2% annual management fee and an additional performance fee of 20% of any investment gains above a high-water mark – means hedge fund managers are incentivised to maximise their client’s returns. The ‘2 & 20’ fee model does a good job of motivating managers to generate strong returns. But this model has some significant problems. For general asset management, the 2% fee is too high. And although the manager is motivated by the performance fee to maximise returns, they are also motivated by the high management fee to gather assets. In certain strategies, where there is a diminishing return to scale this can lead to another conflict between manager and client. There are circumstances, where managers are especially talented or have the ability to implement unusually diversifying strategies where paying the ‘2 & 20’ fees may be justifiable, but for the purposes of managing the vast bulk of assets this fee model is simply too expensive. To illustrate the point, consider investing in the equity market, where a reasonable expected average annual return may be around 7% (that number would be much lower for bond markets). Two of the seven percent return would go in management fees leaving only five percent investment returns which would be subject to a further one percent performance fee charge. The result would be to split the seven percent investment return such that three percent goes to the manger and only four percent to the client, who would nevertheless still bear almost all the investment risk. Put differently, around 43% of the client’s capital would be working for the benefit of the fund manager and more if viewed on a risk adjusted basis! For this reason, although the hedge fund fee model goes some way to correct the misalignment of interests between clients and managers - it is not a viable model for the industry as a whole. Even in isolation the 2% management fee and 20% performance fee are too high and when both are applied to the same investment returns, together they become unjustifiable, for all but niche strategies. At Equitile we have given a great deal of thought as to how the relationship between the fund management industry and its clients could be reconfigured. We believe it is possible to create a simple commercially viable arrangement that puts the fund manager and its client on the same side of the court, but doing so requires aligning interests through both the investment objective and the fee model. 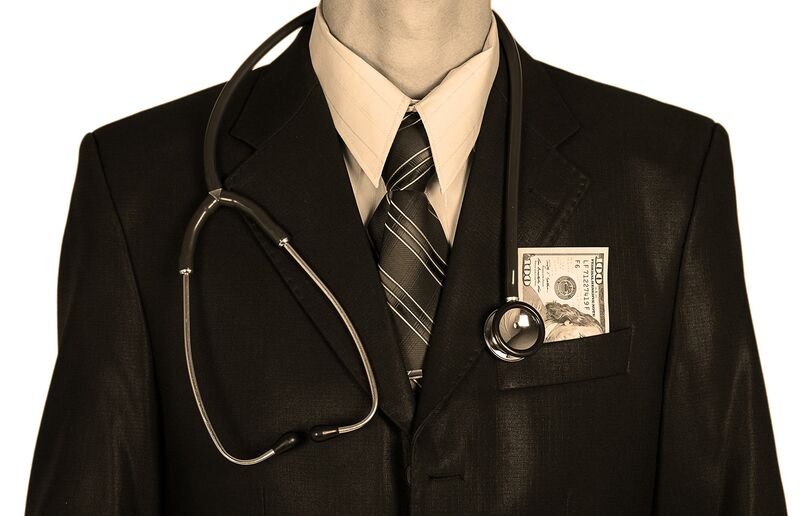 On the investment objective, we are happy to take inspiration from the psychopathic surgeons. Surgeons have the simple aim of trying to make their patients live longer. We believe fund managers should have an equally simple aim of trying to make their clients richer. On fees, the purest alignment of interests would be achieved by eliminating the principal-agent distinction entirely and have the fund manager participate in both the investment gains and losses of its clients. In practice, this is commercially impossible as fund managers do not have the financial strength to withstand the losses – even the surgeons don’t go that far! The next best thing is make the investment fee model a no-gain no-fee model by making the manger’s fee a portion of investment gains above a high-water mark. ‘Performance only’ fee models align the interests of mangers and clients, but when tried they often proved unsustainable. The problem is that asset markets can remain below their high-water marks for many years, and often more years than a fund manager can wait without receiving the fees needed to cover costs – the UK stock market remained below the peak it reached at the end of 1999 for almost 17 years, and the Japanese stock market is still below its 1989 peak today. We believe the practical solution to this challenge is to have a fee model that allows managers to charge only enough fixed fees to cover their operating costs, and have any additional fees over and above that level linked to investment returns. In this way, the fund manager would get enough revenue to ‘keep the lights on’ but would have to generate positive investment returns for its clients before it could make a profit for itself. There are many ways this idea could be implemented. The way we have chosen to do it for our fund is to have the fee model change as our assets under management grow. Our fund charges a management fee calculated as 0.7% of the first £350millon of assets under management and 10% of the investment returns, above a high-water mark, generated on the assets above £350 million. In practice, this means we charge management fees but no performance fees on assets below £350m and performance fees but no management fees on assets above £350m. In this way, we avoid the problems of layering management fees on top of performance fees. In the interest of full disclosure, our fund also incurs a number of other operating costs – custody fees, depository fees, and administration fees adding approximately another 0.3% of costs which, cannot be linked to investment returns. As a result, our current total expense ratio stands at approximately 1%. We believe this fee model goes a long way toward rectifying the inherent conflicts of interest between fund managers and clients. With fee models, the devil is always in the detail, but used properly and at the right level, we believe, performance fees could encourage our industry to better police itself and to better police the capital markets, an outcome which would benefit the asset management industry, its clients and the economy at large. The emphasis of the FCA’s report is on the level of fees and the transparency of fees. While we commend this focus we would also like to see a similar pressure for a better alignment of fees. In our view performance fees, if implemented fairly and at an appropriate level can be an effective way to align the interests of fund managers and their clients. Having said all of this, our sense is that regulations are likely to move in a direction designed to discourage the use of performance fees. If this happens, we will of course follow the rules, and revert to a standard fixed fee model but we’d much rather have our psychopathy managed by aligning our interest with those of our clients, as we do now. George Cooper is the Chief Investment Officer of Equitile Investments Ltd.